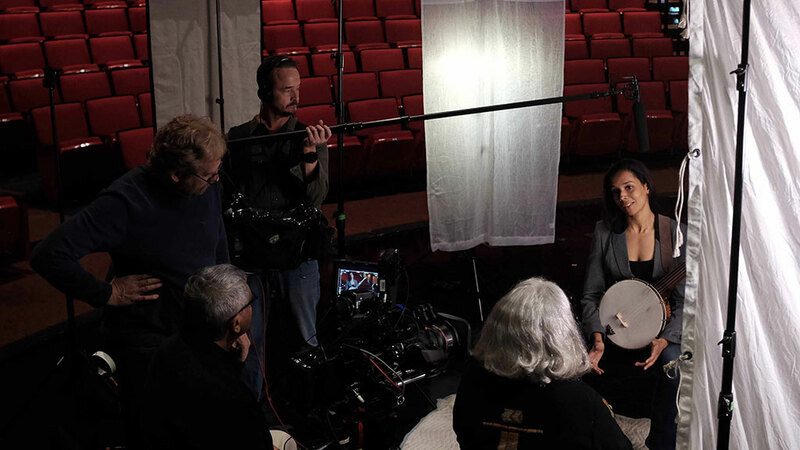 As I bid goodbye to 2015, I reminisce about the many thrills we had while filming this year: hearing Tony Ellis play his Stelling banjo and talk about the Mississippi River; listening to Rhiannon Giddens play her minstrel banjo and learning more about America through her songs; filming with Joan Baez; documenting the Kamaka family of ukulele makers in Hawaii and recording Scotty Barnhart playing his Monette trumpet at the Village Studios in Los Angeles. And that was just the Music episode! Celebration had its own set of amazing experiences! 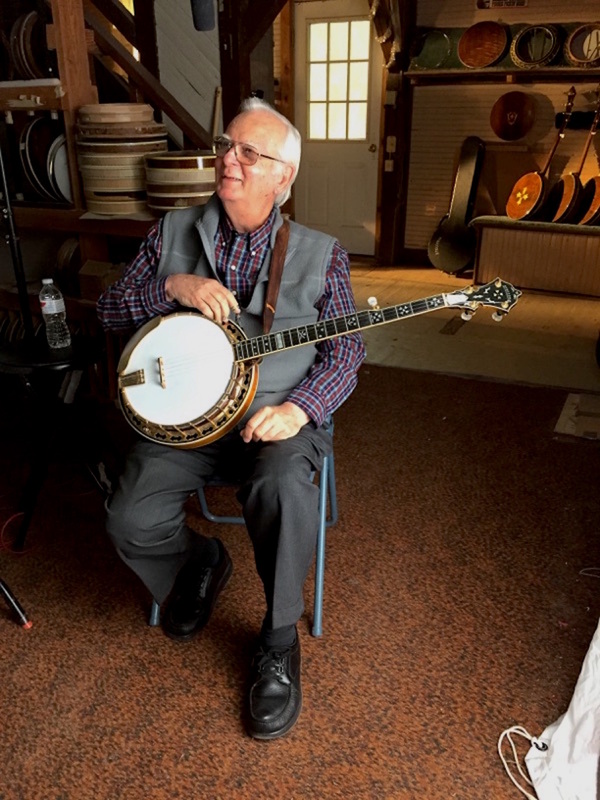 Tony Ellis with his Stelling banjo. 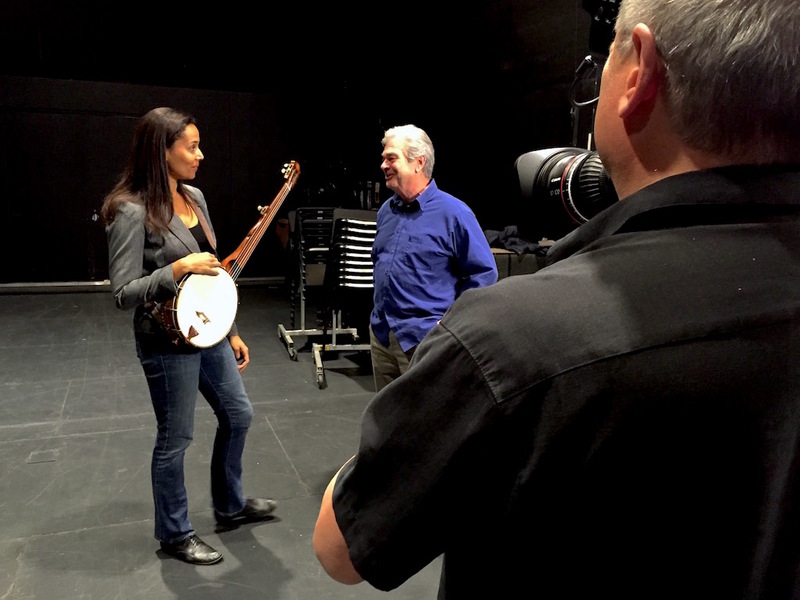 Filming Rhiannon Giddens talking with Jim Hartel, who made her minstrel banjo. 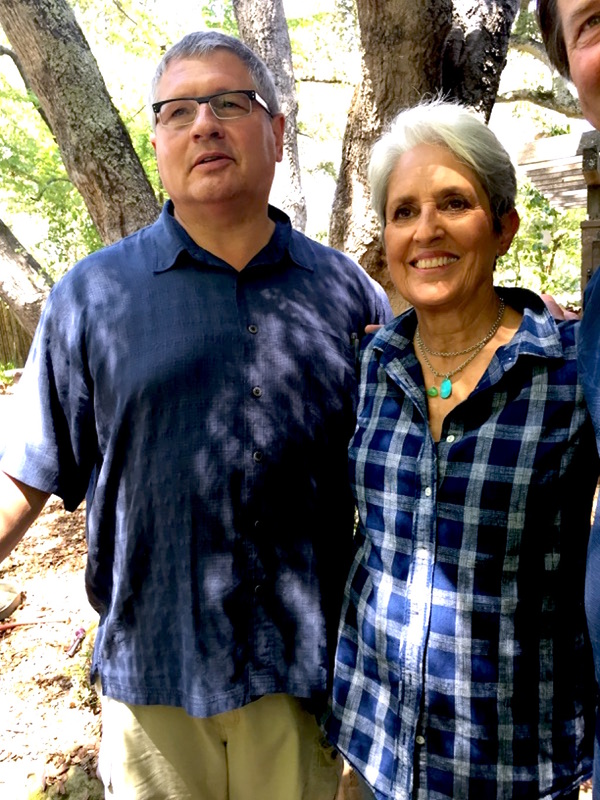 Director of Photography Sid Lubitsch with Joan Baez. 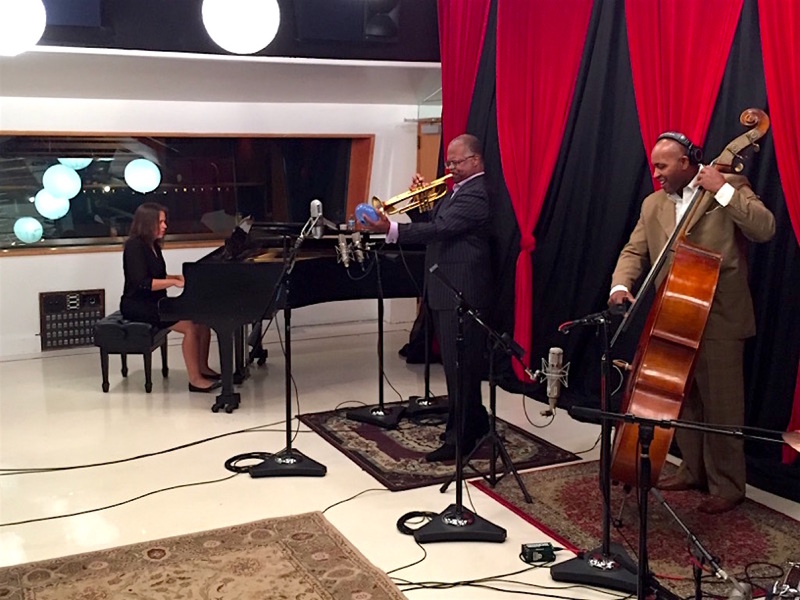 Scotty Barnhart recording at Village Studios. 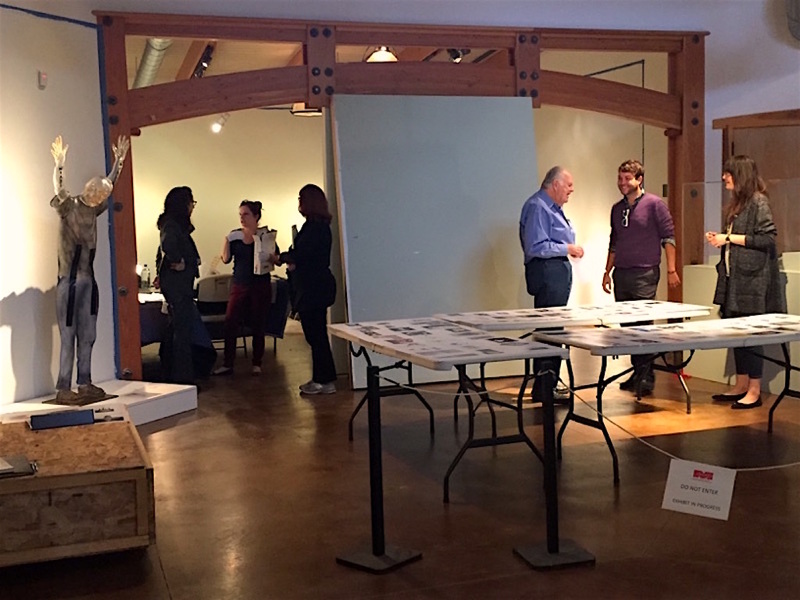 Group image of works from Celebration artists. As 2016 is about to begin, I find myself in the midst of great creativity, thought and enthusiasm for the handmade. Thank you to my colleagues Pat Bischetti, Rosey Guthrie, Denise Kang, Judy Hing, Beverly Feldman and Destiny Pineda who work miracles at the Craft in America office. You make our PBS series and website possible. This year, you produced two new episodes of our PBS series and redesigned www.craftinamerica.org which we like to call our “Craft Channel.” Our Craft Channel will continue to grow because our projects, like the technologies we rely on, are always evolving. 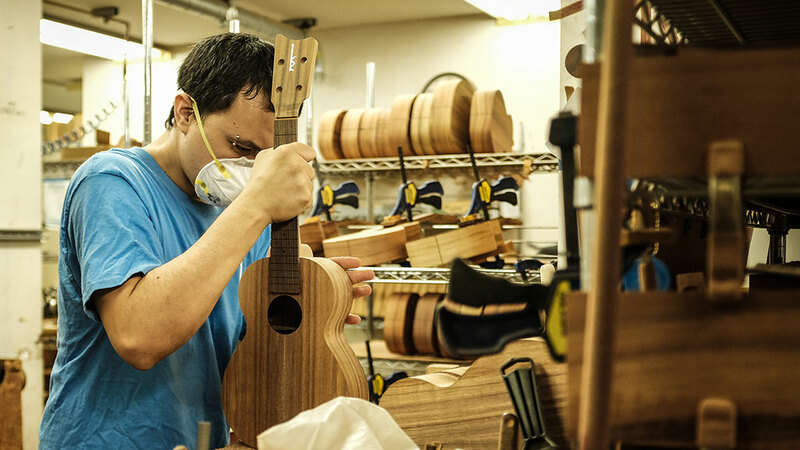 Our love of the handmade never waivers. Thank you to Emily Zaiden, Director and Sebastian Duncan-Portuondo, Coordinator of the Craft in America Center on West Third Street in Los Angeles, as well as Madison Metro, our photographer. You provide an accessible public space for the crafts and develop memorable projects for Craft in America. What a productive year we’ve had together! 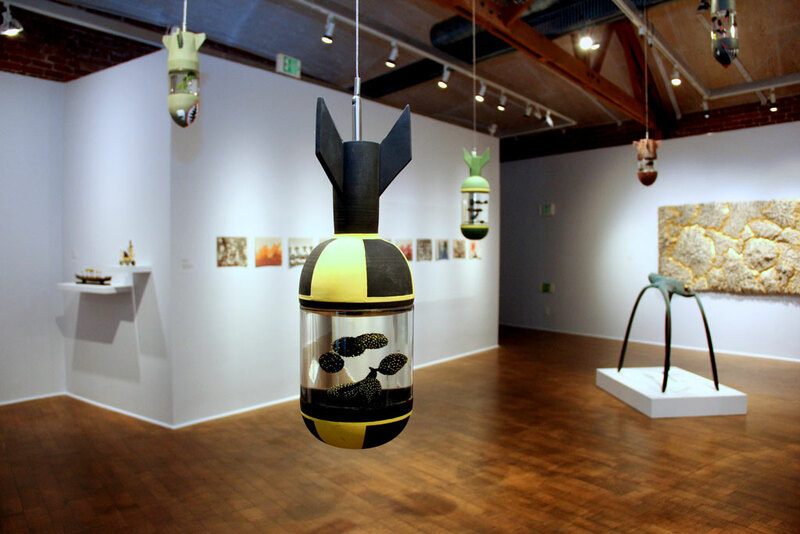 Installing the California Handmade exhibition at the Maloof Foundation. 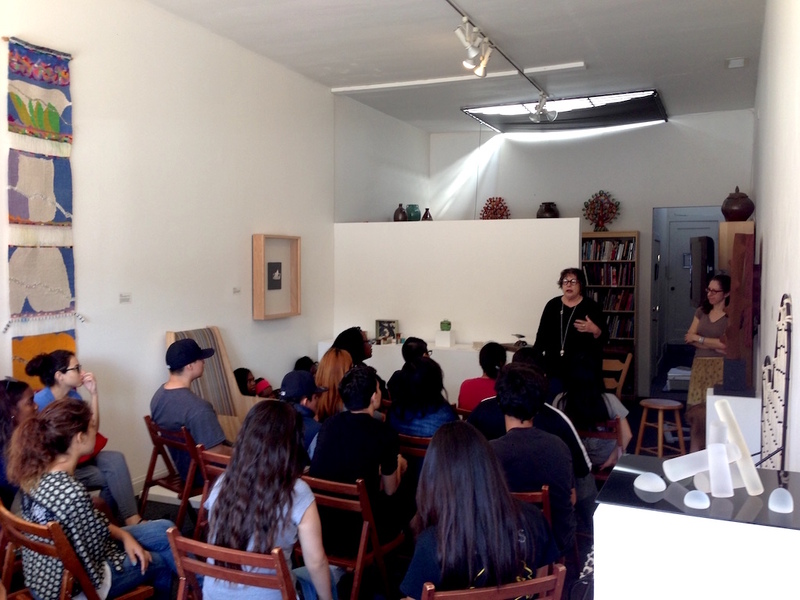 Christina Smith presents to Fairfax High School students during the California Masters exhibition at the Center. And a special thanks to the Craft in America film crew: Sid Lubitsch, Bob Faison and Mark Markley have all given their professional best to each shoot. Believe it or not, filming craft can be grueling! Our crew gets the job done! 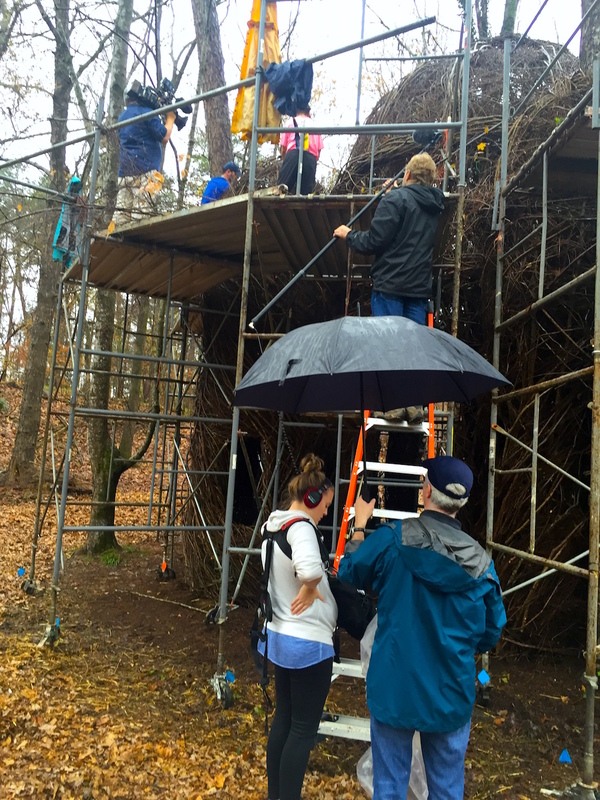 Sid and the crew filming Patrick Dougherty installation in rainy Greensborough, North Carolina. 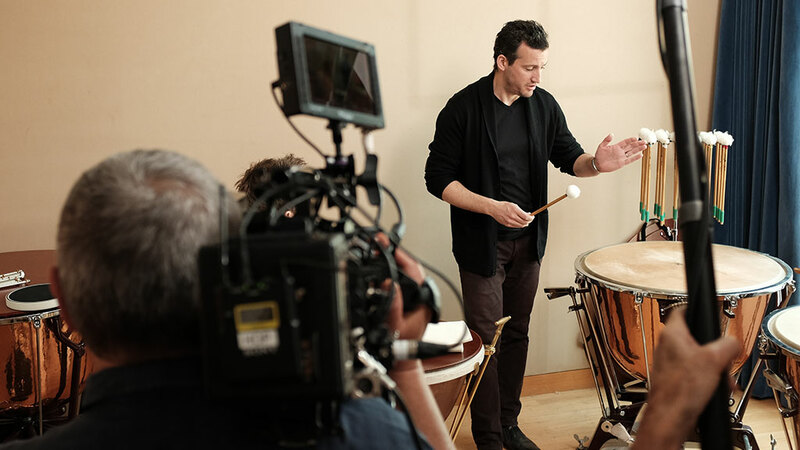 Filming Joe Perreira for Music. May 2016 bring peace, joy and something handmade to all of us!